Let’s talk connectivity. Smartwatches should be able to connect to the internet to pull data directly to the watch. A cellular connection would be the ideal choice. You could share data usage with an existing shared data plan from your cell carrier. At the very least, the watch should have wifi and Bluetooth. You still could configure app preferences from a phone or computer, but the watch should pull data independently of any other device. What kinds of data are most useful to the average person? Clearly it’s all about the social networking – at the base Twitter, Facebook, and Instagram. Also important are email / text / phone call notifications. For some of these a phone connection makes sense, but until Bluetooth has a longer range, it’s horribly impractical to tether a watch to a phone. You will notice that I didn’t mention fitness tracking. I don’t use my smartwatch for that. Maybe I’m the exception. I check weather, social networks, text / email notifications, and occasionally use the music controls. That’s it. So what is the point of this long-winded blog post? Glad you asked. 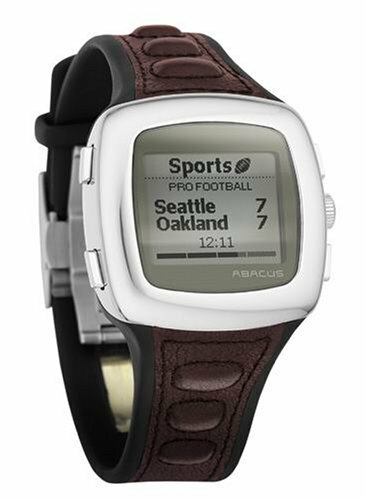 If you are creating a smartwatch that doesn’t have the ability to push sports scores to us in its own app without connecting to an external device, you’re doing it wrong. That’s my main pet peeve with my current smartwatch – the otherwise brilliant Sony Smartwatch 2. If your smartwatch music control app doesn’t give you the ability to control ALL of your music apps, including Spotify, you have some serious work to do. 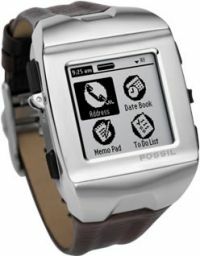 If the smartwatch isn’t useful or doesn’t function as a watch without a phone connection, that might be something you need to improve. Longer battery life would be helpful. These are my thoughts on ways we can improve what are incredible technological advances since that Abacus watch.